Ownership / Access: Major John Coleman. Notes: Monkcastle, sometimes known as Old Monkcastle formed a small estate in the Parish of Kilwinning, North Ayrshire lying between Kilwinning and Dalry on the A737. 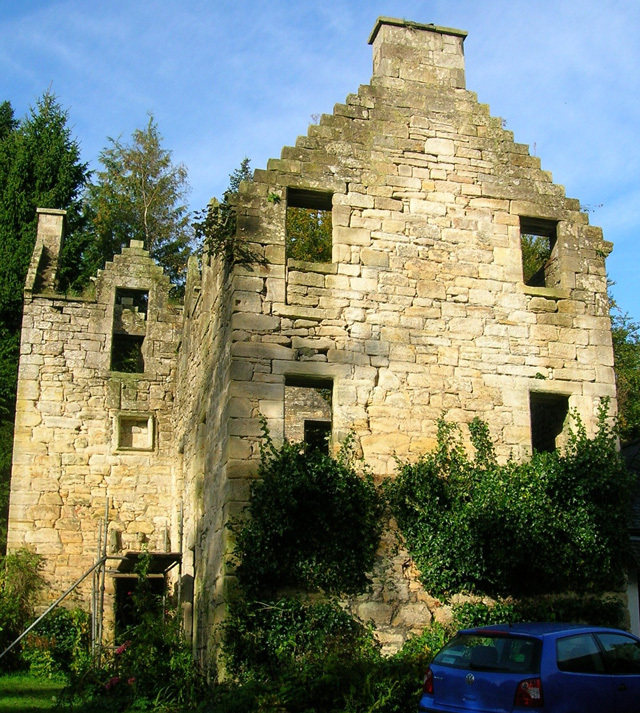 Originally the property was originally held by the Tironensian monks of Kilwinning Abbey and was probably the site of the Abbot's 'Country retreat'. Monkcastle is a category B listed ruin, however it has been consolidated and stands next to a private house, constructed from the converted old home farm buildings. The 19th century mansion of Monkcastle House is nearby. The castle may have been used as a dower house or retreat.